The Mahanirvana Tantram is the most important of all the Tantras that are to be found now. It consist of two parts. 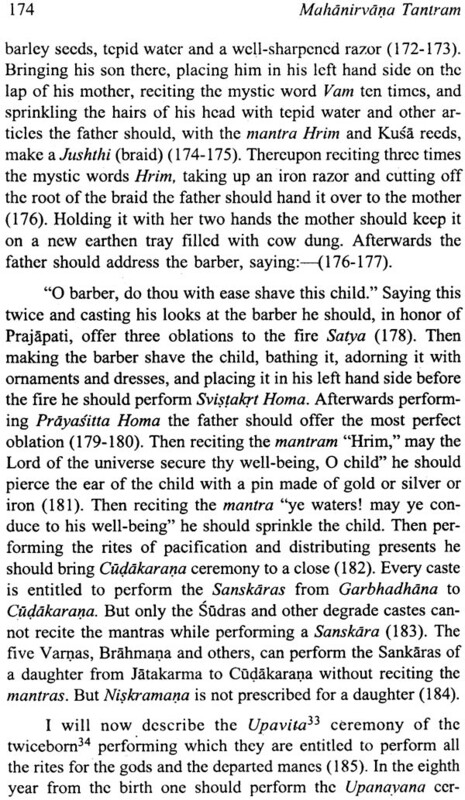 The Text of the first portion only has been published in Bengal. The second part, a reference of which is to be met with in the first, is not to be found anywhere. I made many attempts to find it out all to no purpose. 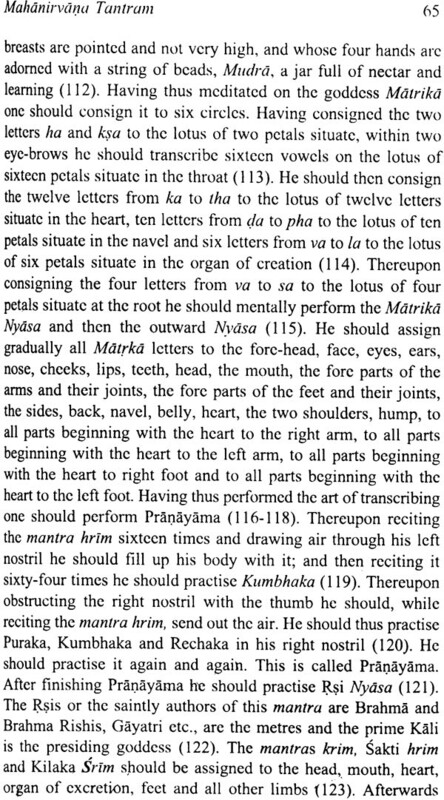 Sometime before information reached me that the Text of the second part was available in the temple of Kamakhya in Assam. I tried to have a look at it through some of my friends and on enquiry it was found that the text there is nothing but a version of the first part that we have translated. 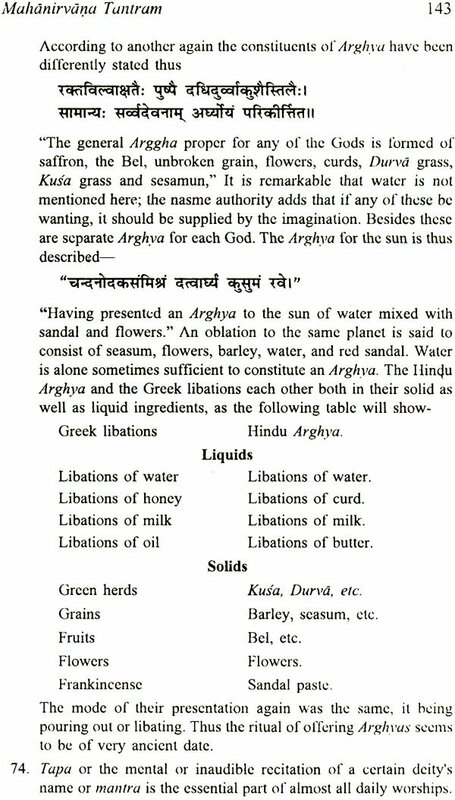 To readers who are not well acquainted with Sanskrit this English version, we hope, will not be an unwelcome guest. This will give them an insight into one department of Sanskrit Literature which is very popular in Bengal. The cardinal teaching of this great work is the worship of one true God, which the author, despite many mystical and superficially technical passage , advocated in every page of the book. The style is charming and in many passages, true poetic touch is to be seen. I have tried my best to translate the work as much literally as is possible making sense clear. The duty of the translator is to interpret clearly and distinctly the ideas and thoughts of the original author. How far I have succeeded in this depends upon the judgement of my readers. I have given copious footnotes to make the obscure passages clear. 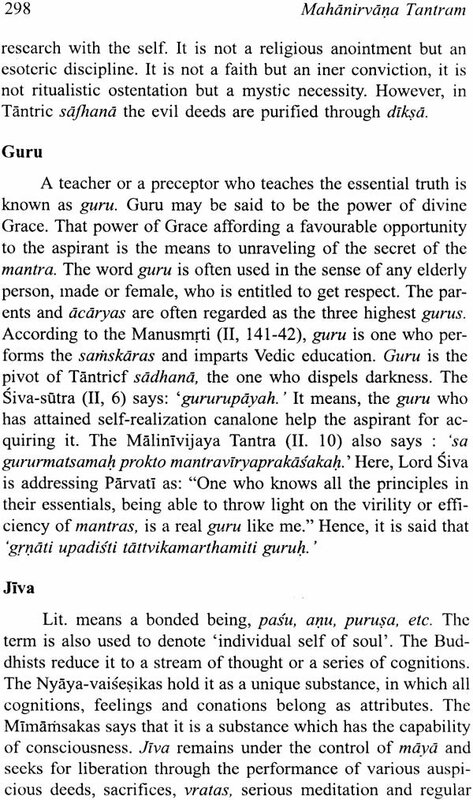 In the introduction I have attempted to give a short digest of Tantrik teachings. It will help the readers in understanding the original work. For this purpose, I have consulted almost all the Tantrik works that are available in Bengal. There is no other Tantram more important of the mahanirvana Tantram will place, before the English knowing public, a key to unlock the portal of Tantrik teaching which once swayed and have been still swaying over the many millions of Bengal. 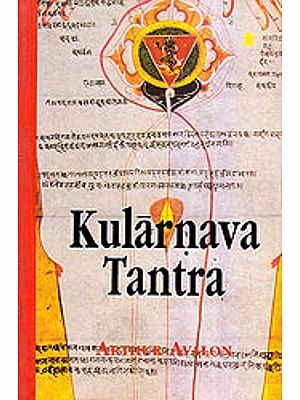 The literature of Tantras is not so universally popular and authoritative as is that class of sacred writings of the Hindus which pass under the application of the puranas. 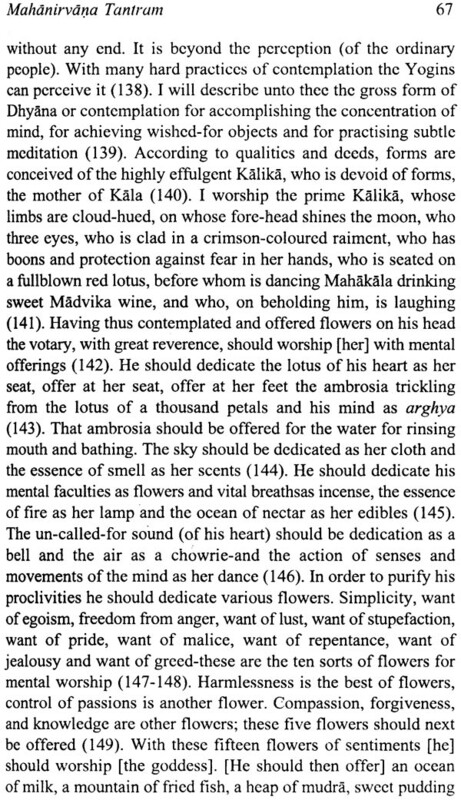 Its reputation has not travelled far and wide for none amongst the Western scholars has paid any attention to this department of Sanskrit Literature. What to speak of foreign countries its name is not even hold in very much reverence in any other province of India than Bengal. 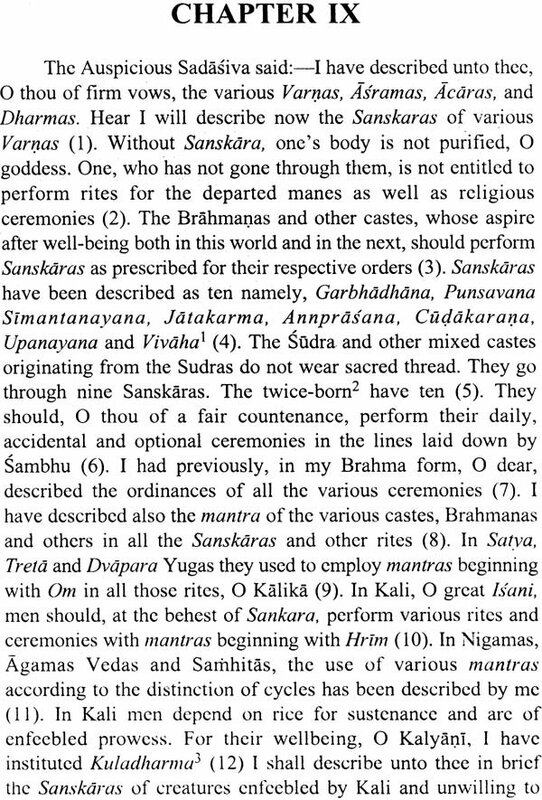 Many Indian scholars of repute are of opinion that the Tantras are purely the production of the soil of Bengal. The peculiar practices and rites of the followers of Tantrik religion which superficially appear abhorrent and disreputable, have stood form of religion has escaped the hands of corruption and superstition and that has also been the case with Tantrik religion. 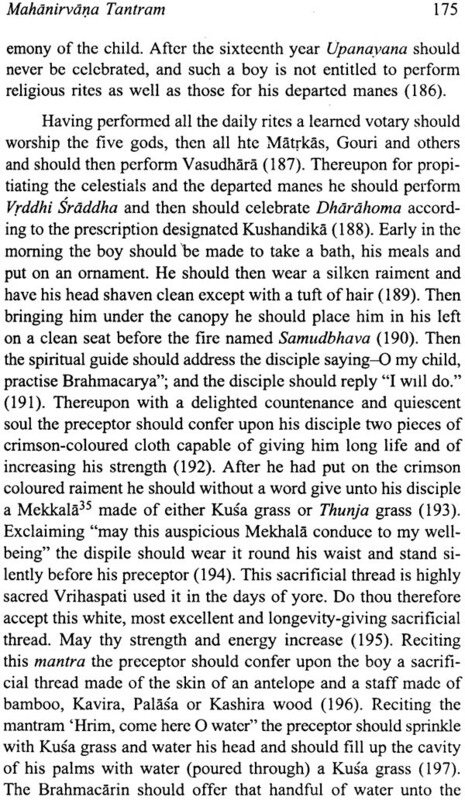 But to consider impartially it yields in merit and excellence to no other department of ancient Hindu thought. 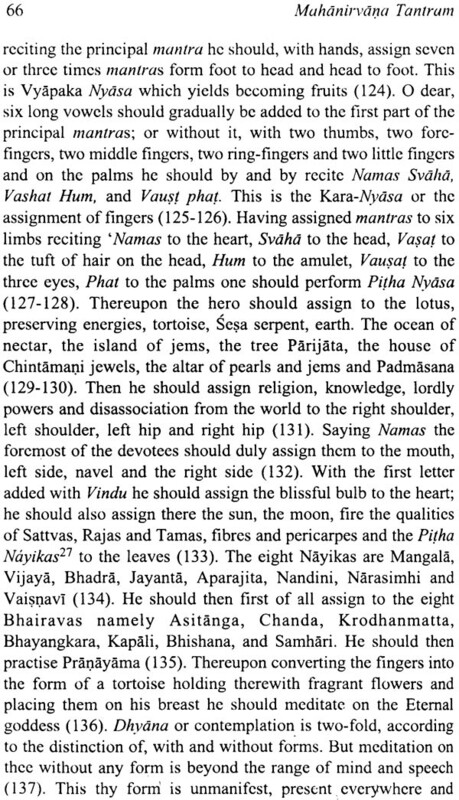 In Sanskrit literature we meet with two classes of Tantras, Hindu Tantras and Buddha Tantras. 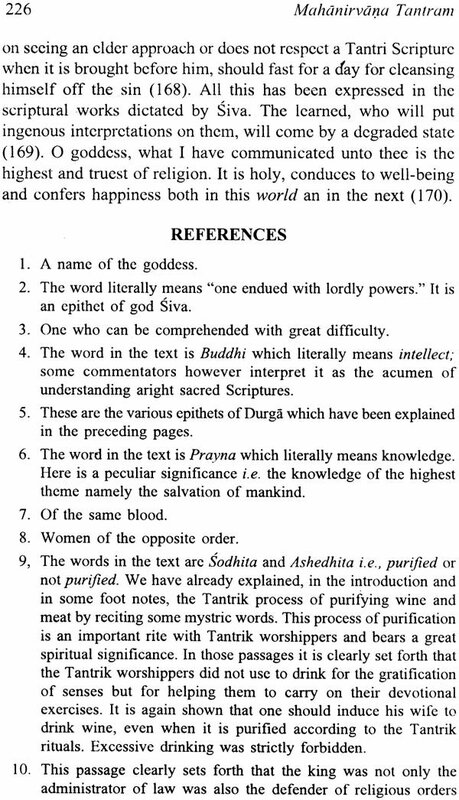 As is the case with Puranas Tantras consist of dialogues relating to the worship of Good and other theological topics. 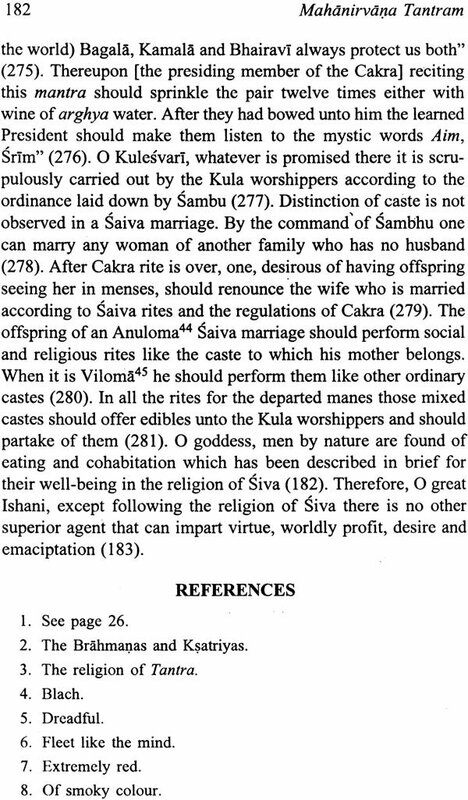 In the former class of compositions Siva describe various religious topics to his followers. It is with the former we have particularly to do. 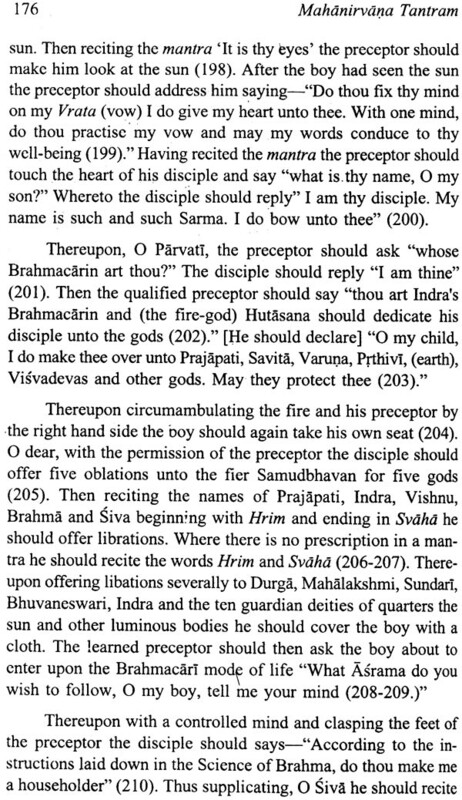 The Scriptural works of the Hindu of which Siva is the author are divided into three classes namely Agama, Yamala and Tantra. 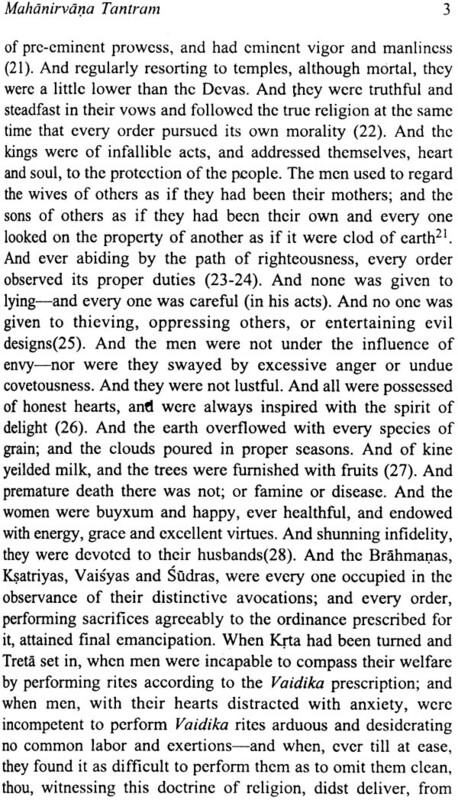 Their characteristics are thus described in Varahi Thantra. 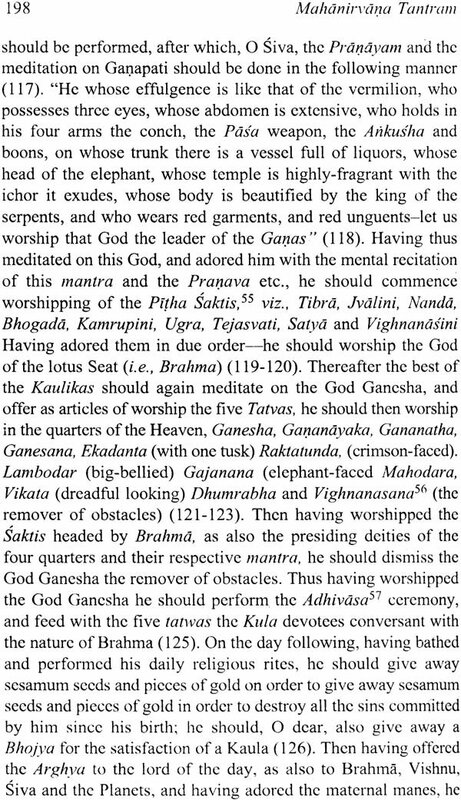 The learned describe Agamas as work consisting of the seven characteristics, namely accounts of creation, dissolution the worship of the deities, other religious rites, initiatory rite, the practice of six Tantrik works and fold forms of contemplation. 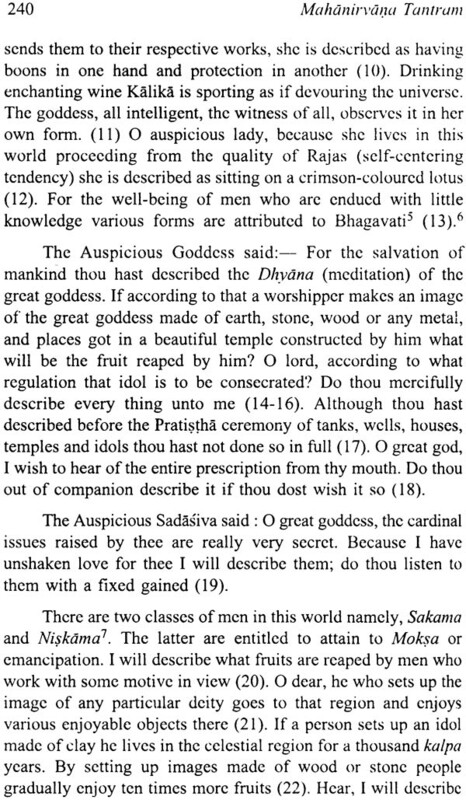 Accounts of creation, dissolution , the abode of the deities pilgrimages, the duties of four Ashramas, the habitation of the Brahmanas, the habitations of ghosts etc., description of instruments, origin of the celestials, the origin of trees, description of ages, planets and stars, the stories of puranas, description of treasures vows, what is pure and what is impure, marks of men and women, duties of kings, how gifts should he made, marks of the age, conduct and many other spiritual topics constitute the characteristics of Tantra. 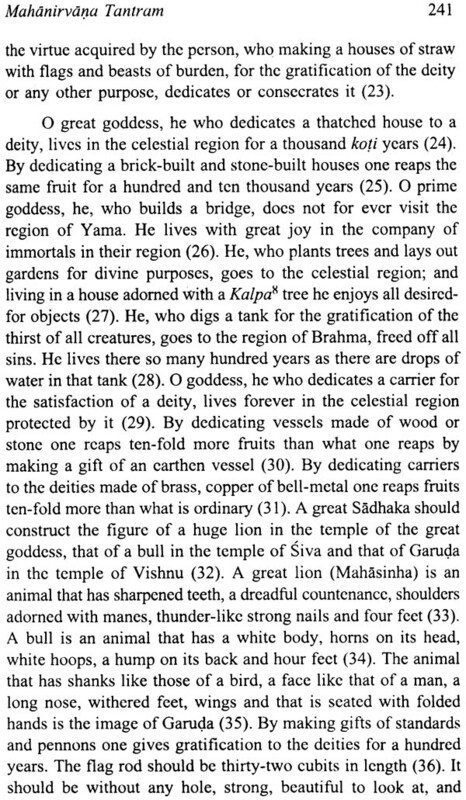 The account of creation planets, stars, daily rites, evolution, Sutras, the distinction of colour and caste and the duties of the age these eight are the characteristics of Yamala. 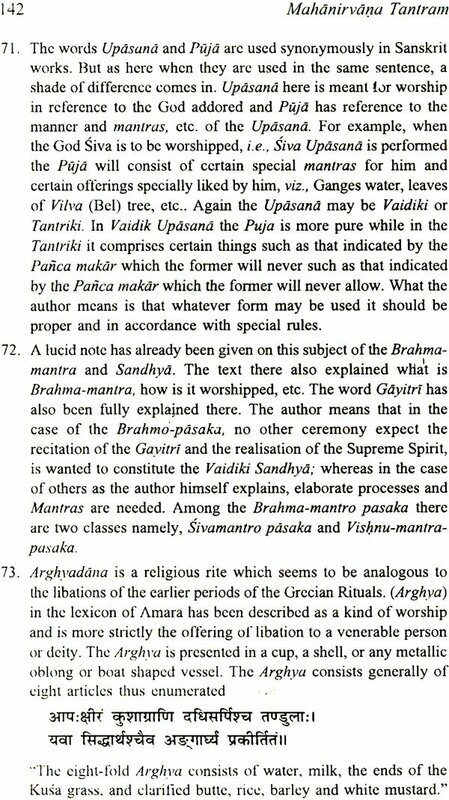 Besides these three classes of writings there is another which claims Siva as its promulgator namely Damara. All these four groups of religious works pass under the general name of Tantra and are held in much reverence by the followers of Tantrik religion. 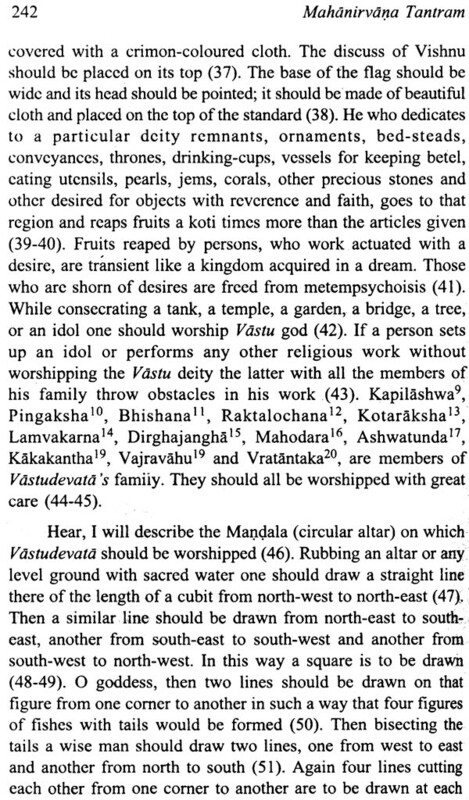 From the description given above it is evident that Tantras resemble the Puranas both as regards the subject matter and from expect that descriptions of many royal houses and mythological heroes occur in abundance in the latter. But the object of both the classes of writings is same. 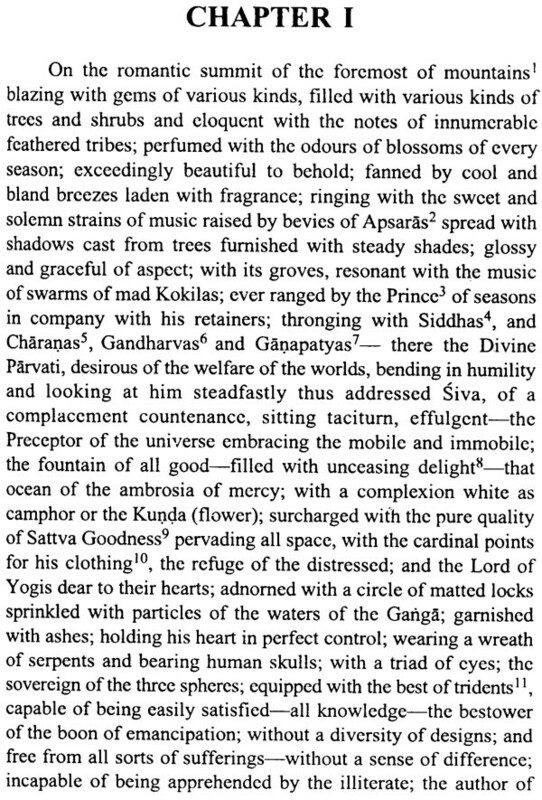 They are merely the popular expositions of the metaphysics, philosophy, and theology of the Vedas. 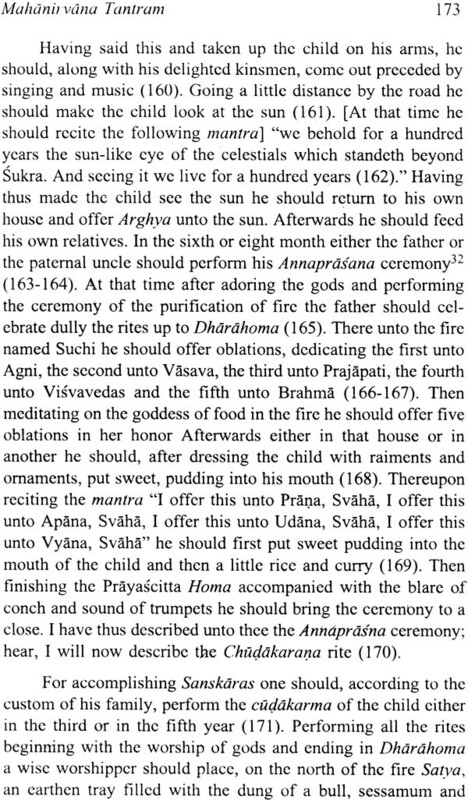 The only difference between them is that Tantras are of a more recent date and consist of innumerable rituals and ceremonials, recently brought into vogue, the counter parts of which are not to be met with in the Puranas. 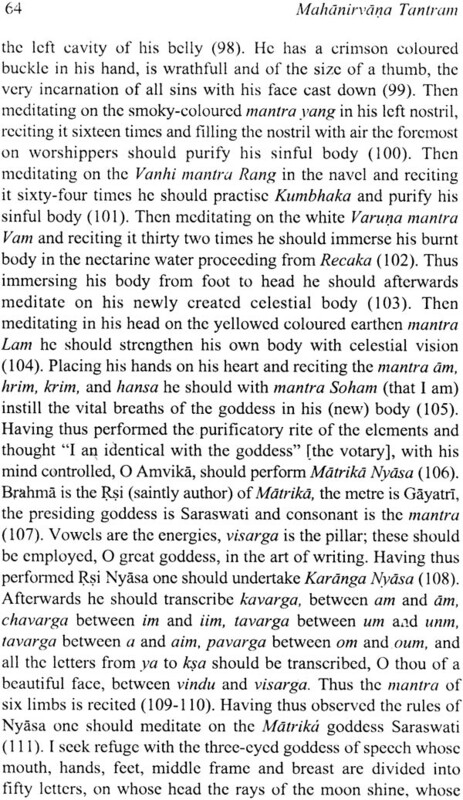 The object with which the Tantras were promulgated by their divine author is crearly set forth in the following salokas of Mahanirvana Tantra.